Respawn’s new Star Wars Jedi: Fallen Order game will bring a new Star Wars experience with a story that’s never been told, but it won’t be a totally linear adventure. The single-player player game will give players some room to decide where they want to go on their journey and will also let them revisit different areas. Going back to these areas after unlocking new powers and abilities will present new opportunities for exploring the same areas in different ways. The details pertaining to the freedom players have when playing Fallen Order were revealed in a listing for the game that’s appeared on the Microsoft Store, though the extent of the players’ choices when exploring remains to be seen. We do at least know that there will be several different biomes for players to explore – some of which were detailed in the product listing – and it looks like Respawn Entertainment intends for players to revisit those locations as they progress through the story to access more content and areas. Exploration mechanics like this aren’t unheard of or uncommon in video games, but without seeing any actual gameplay, it’s details like these that help frame what Fallen Order actually is. While the Metroidvania formula is most associated with this style of progression and exploration, the style of game Fallen Order seems to be has drawn comparisons to how the new God of War worked. Players would advance through the game like normal and would sometimes encounter both mandatory and optional areas they couldn’t access until they’d acquired certain powers, and it looks as though Fallen Order will do the same. 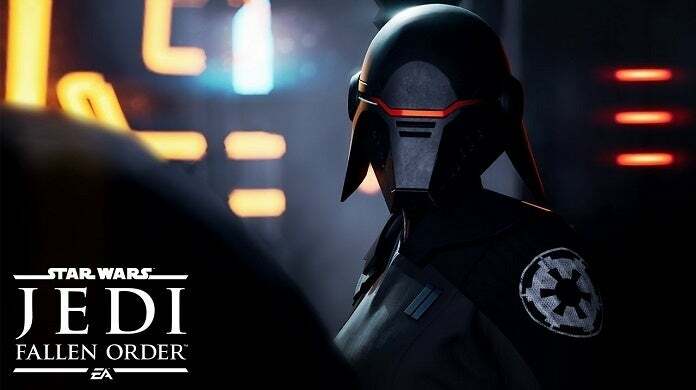 Star Wars Jedi: Fallen Order is scheduled to release for the PlayStation 4, Xbox One, and PC platforms on November 15th.